Available in five Interchangeable Shank sizes, and seven Interchangeable Cup sizes - offering limitless interchangeable possibilities! Find your favorite cup-size and use it on all of your Trombones, Baritones, & Euphoniums! 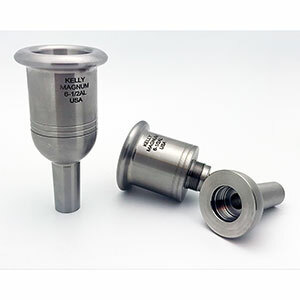 KELLY’s MAGNUM-WEIGHT Mouthpieces have an incredible amount of additional mass with identical inside cup shapes! 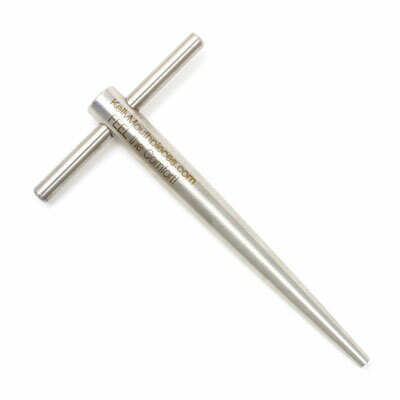 MAGNUM-WEIGHT Shank Sizes - Five possibilities! 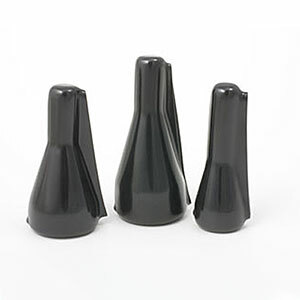 European-shank: European-shank (between Small-shank & Large-shank) for Euphonium. Large-shank: Large-shank for Trombone / Euphonium. Remington-shank: Fits older Conn-8H & Conn-88H Trombones. MAGNUM-WEIGHT Cup Sizes - Seven available - Listed from smallest to largest! KELLY - SKY: KELLY's SKY-reaching design - Professional Lead-Trombone! 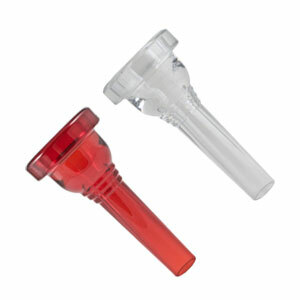 Choose one Interchangeable Cup size and one Interchangeable Shank size!